Structured writing has never been more important or more confusing. It is easy to get lost in a sea of acronyms and buzz words: semantics, XML, metadata, DITA, structure, DocBook, hypertext, Markdown, topics, XSLT, reuse, LaTeX, silos, HTML, ad infinitum. Structured Writing cuts through the noise, explaining what structured writing is and how you can use different structures to achieve different purposes. It focuses on how you can partition and manage the complexity of content development and delivery to ensure effective rhetoric and efficient processes. 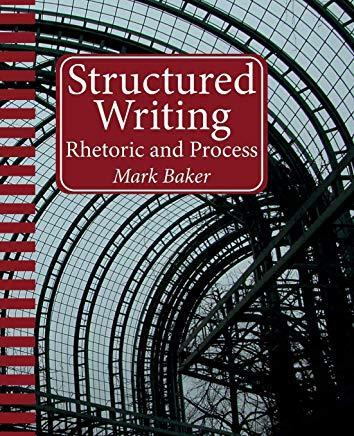 Introduction: defines structured writing, the relationship between rhetoric and process, and the importance of partitioning complexity properly. Structured writing domains: introduces four domains in structured writing: media, document, subject, and management and shows how an understanding of those domains can help you build structures that support quality writing. Process, rhetoric, and structure: describes how structure supports both your processes and your rhetoric. it also delves into information architecture and the role of writers in creating content that meets your organization's needs. Algorithms: explores the principal structured writing algorithms, including single sourcing, reuse, linking, active content, generated content, and publishing. Structures: explores structures in depth, including blocks, wide structures, and composable structures. Also looks at metadata, terminology management, and conformance. Languages: a survey of languages currently used for structured writing, ranging from lightweight languages such as Markdown and reStructuredText to heavyweight languages such as DITA and DocBook. Then it looks at extending and constraining languages. Management: looks at content management systems and explores how to support collaboration, avoid duplication, and audit your content. Design: looks at how to identify complexity and partition it appropriately as you design a system, and it then looks at how to select the processes and tools required to support your organization's content needs.